WICHITA, Kan. (AP) — Turkey farmer Darrell Glaser buys his Thanksgiving bird at the local grocery store, just like most folks. Turkey buyers in select Texas markets will be able to either text or enter on the Honeysuckle White website the code found on the tag on the packaged bird to find out where it was raised and get information about the farm's location, view farm photos and read the farmer's message. Glaser is an independent farmer who raises about 600,000 birds a year for Cargill's Honeysuckle White brand, and is among four Texas farmers participating in the market test. The traceable turkeys in the pilot project won't cost more than untagged birds, and after the test the Minneapolis-based Cargill Inc. and its Honeysuckle White brand says it will assess its effectiveness and value to determine further implementation of the digital technology and any price adjustments. The pilot project marks the agribusiness giant's entry into a burgeoning farm-to-table movement driven by people who want to know where their food comes from and how it was produced. It is also a sign of the success driven by sustainable food advocates who have been promoting such connections as a way for farmers to market locally grown and raised foods. 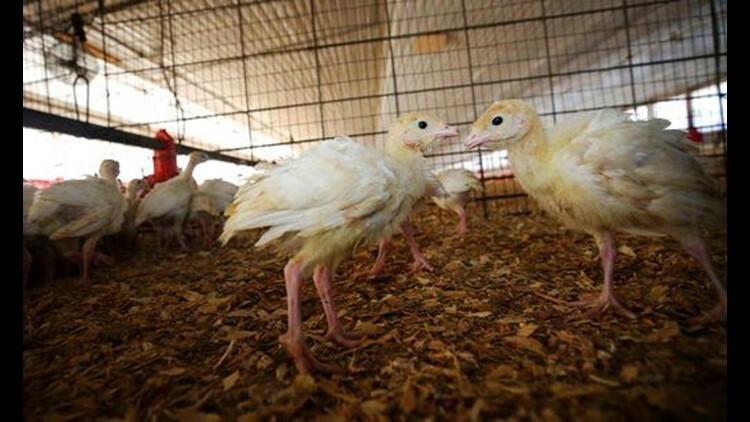 Cargill is the nation's third largest turkey producer, and is among the top five companies that collectively raise 65 percent of U.S. turkey production, said Simon Shane, an industry consultant and adjunct professor at North Carolina State University. Cargill's turkey brand is its first within the company to experiment with blockchain technology, a transparent cloud-based system that allows multiple people to contribute, but not otherwise change, the supply chain record, said Deb Bauler, Cargill's chief information officer. It is the same secure technology created for the digital currency bitcoin.